Do not exceed 3 pcs every six hours. 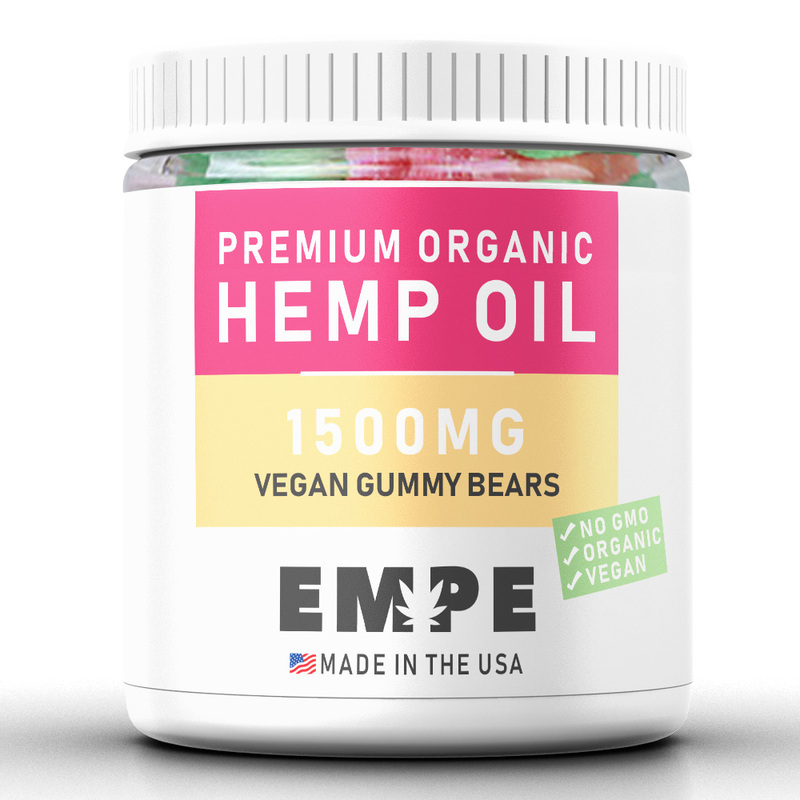 Looking for vegan Hemp oil gummies? Look no further! Whether you’re committed to a vegan life style or are just trying to eat a more organic diet, organic hemp oil gummy bears are a great option for everyone. Packed with flavor, these hemp oil gummies are made from organic ingredients and contain no artificial flavoring or coloring. 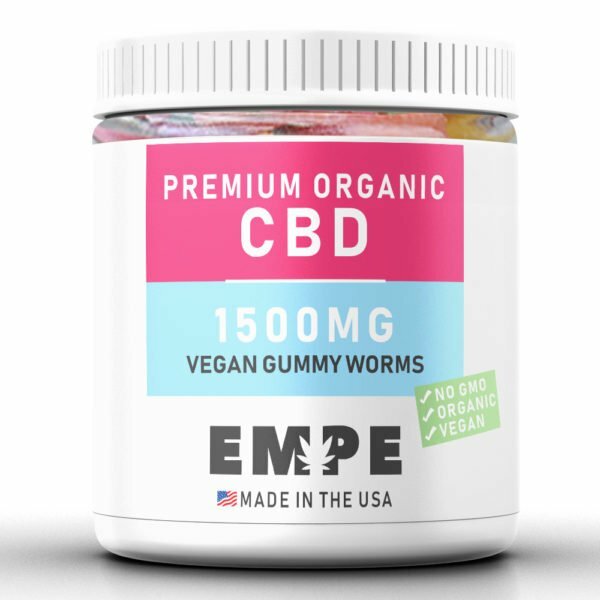 Each bite is sweet and hemp oil filled, making them a great option for dosing on-the-go. Where EMPE’s organic gummy bears differ from other vegan options is our inclusion of organic hemp oill, designed to promote a sense of calm and overall wellness. Our vegan hemp oil gummies are made with ingredients derived from organic hemp oil and are perfect for on-the-go, convenient dosing. 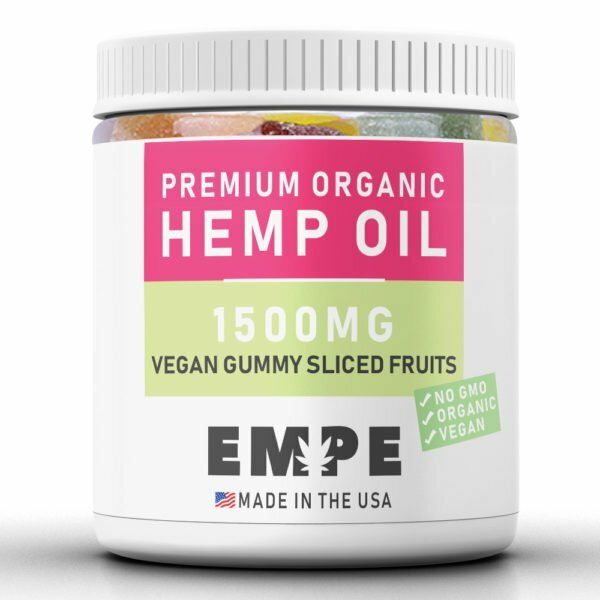 Make your life a little more sweet by adding hemp oil Gummies to your diet! Keep out of reach of children. Gummy candies may be produced in a facility that also produces product containing egg and soy. Gummy candies can be a choking hazard. Consult your health-care provider before taking if you are pregnant, nursing or have any medical concerns. Do not take if allergic to hemp, CBD or related products. 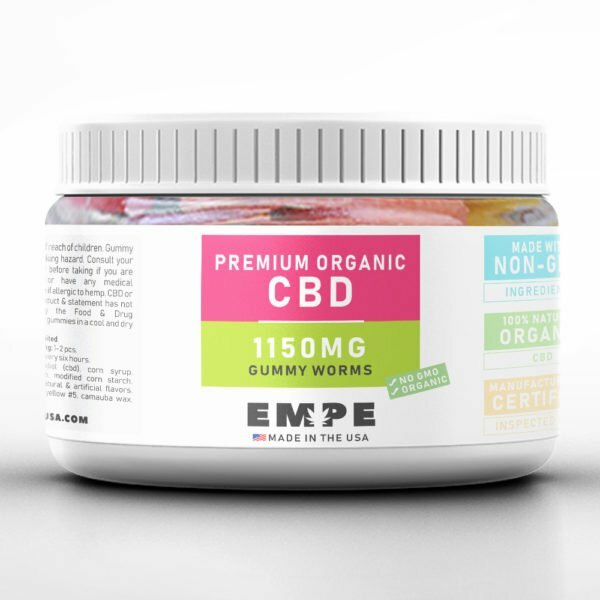 Product & statement has not been evaluated by the Food & Drug Administration. Store gummies in a cool and dry environment.